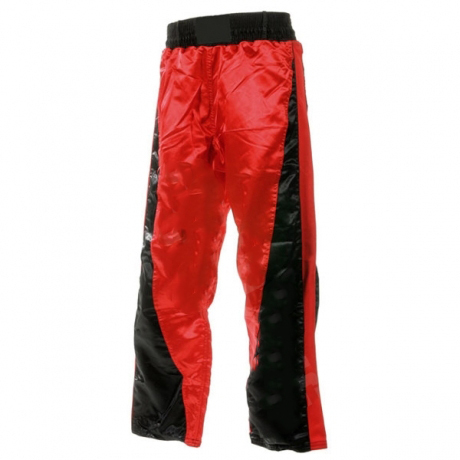 Specifically designed Freestyle Kickboxing Trouser, suitable for all Freestyle and Kickboxing. Manufactured from 100% polyester silk satin. 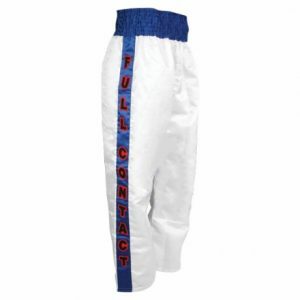 Full 4 inch international style waistband with snug elastic lining. 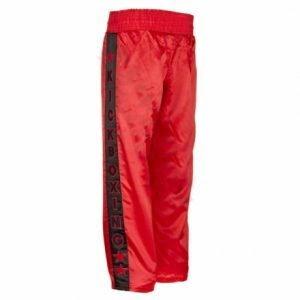 Cut extra long and baggy with hemmed bottoms and roomier crotch. 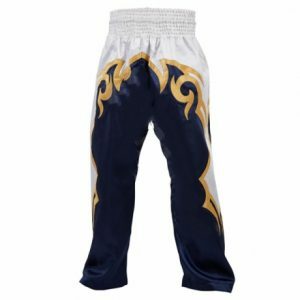 This Kickboxing Trouser is free of all manufacturer labels, making it ideal for clubs who also require specific printing or embroidery on the back or front.